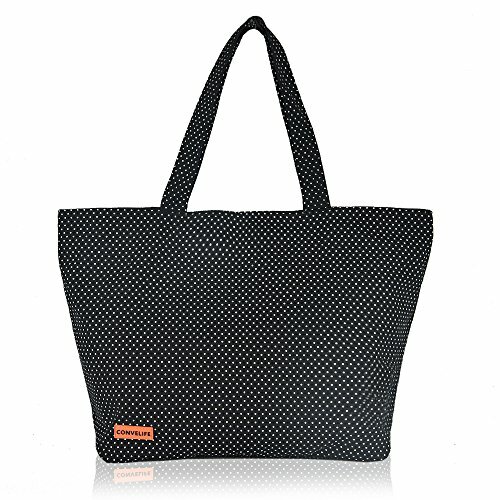 Made of durable thick cotton canvas,keep your bag from ripping and make it last for years of usage. It's extremely sturdy and perfect. A roomy tote with plenty of space and casual looks, just carry around all your essentials in this sturdy tote. Grocery shopping bag, school bag, travel bag, beach bag, diaper bag. Just name it. This wonderful tote will gives you more. If the item you received is not the same as described, please feel free to contact us and we will give you a approving reply.